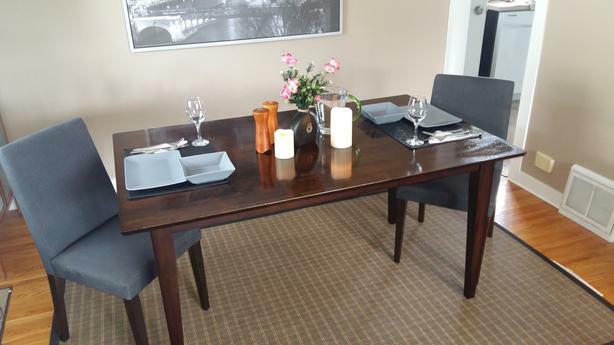 All-Wood 4-Seat Dining Table + 2 Parson Chairs. $50.00. IN very good condition with a few minor scuffs. Located in Bridgeland. Available most weekdays and weekends for pickup. Cash only please.